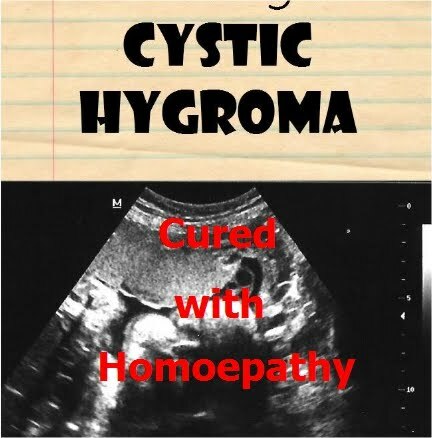 A case of Cystic Hygroma cured with Homoeopathy :Dr. Vivek Gopalakrishnan BHMS, NDH (NZ) Cystic hygromas are abnormal growths that usually appear on a baby’s neck or head. They consist of one or more cysts and tend to grow larger over time. This disorder most often develops while the baby is still in the womb. However, a cystic hygroma can also appear after birth. Cystic hygromas may not be noticeable when the baby is born. They can become visible as they grow larger and the child gets older. 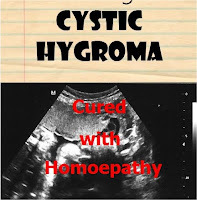 Cystic hygromas will usually appear by the time the child is 2 years old. Read the below article where Dr Vivek has detailed the case and illustrated how he managed to cure the case. About the Author:Dr Vivek completed his Bachelors in Homoeopathic Medicine and Surgery from India in 2006 and his National Post Graduate Diploma in Homoeopathy(Level--7) from New Zealand. He is currently practicing in a reputed Homoeopathic Hospital in Kerala, India where he work as a Consultant Homoeopathic Physician focusing his practice on Autoimmune Diseases particularly Thyroid and Endocrine disorders. Furthermore he also do Telemedicine Consultation for his patients in New Zealand,Australia,USA,Canada,Europe and the UK.He has been in Homoeopathic practice for the last 10 years besides being a Healthcare Quality and Accreditation Consultant and Change Management Specialist in Healthcare. He has been involved in NABH & Quality Training sessions as a Trainer and Auditor for the last 5 years.As a token of appreciation in Healthcare Quality & Accreditation, he was awarded the designation of Honorary Advisor for Quality Assurance in Healthcare by Confederation of Accreditation Commission(CIAC) Global in Jan 2016.